Scheduling for contact centres. The heart of successful workforce management. Automatic, optimised and rule-compliant scheduling for contact centres, combined with powerful shift management and real-time adherence. Makes multi-skill, multi-channel scheduling a breeze. injixo WFM provides demand-oriented, optimised schedules that consider all relevant scheduling constraints. Multi-skill pooling efficiencies are achieved in a single step and in a fraction of the time required by other systems. 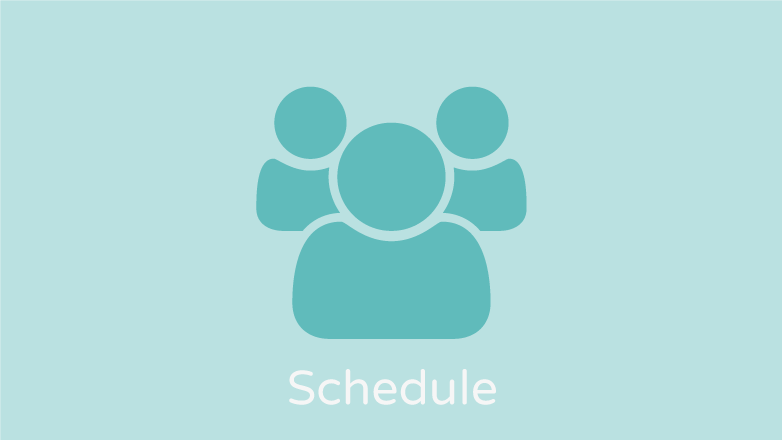 injixo WFM automates your entire staff scheduling process from start to finish. With powerful, automatic optimisation capabilities that produce optimal schedules under controlled conditions, injixo WFM quickly finds the solution that best matches supply and demand - consistently minimising under- and over-staffing. injixo WFM ensures that all scheduling rules are taken into account, from legal and contractual terms through to agreements with individual sites and individual employees. All rules can be modified to reflect those used in your organisation. injixo WFM uses sophisticated algorithms and the power of cloud computing to search through the enormous number of possible solutions to find the one that offers the best workload fit. Result: You can do more with less. injixo WFM isn't just about planning for inbound phone calls. Our optimisation engine handles multiple channels, multiple sites and multiple skills with ease. And it does this with minimal configuration and in significantly less time than traditional methods. Today's customers don't just use the phone. You need to give great service via email, web chat and social media as well. With injixo WFM, scheduling is a piece of cake - whether you are planning for multiple concurrent chats or customer contact via Facebook or Twitter. Do you have agents still working on fixed shifts or rotating patterns? injixo lets you build shifts for those agents using shift sequences that you define yourself. injixo can then apply optimized scheduling for the remaining agents, leading to the best possible workload fit. injixo WFM’s heatmap technology continually compares staffing requirements with the number of scheduled employees and displays any deviations using a heat map metaphor - blue means over-staffed, red means under-staffed and the intensity of the colour indicates the severity of the issue. This provides the information you need to determine where and when corrective action is needed. Sometimes plan and reality don't match. That's why injixo WFM lets planners view and modify agent schedules by drag-and-drop, maintaining staffing coverage and thus Service Level attainment. There are power tools to help - for example re-optimising breaks, re-optimising jobs and finding replacements for sick agents. And because the screen is updated in real-time without the need for a manual refresh, users are always working with the latest data - perfect for collaboration across teams and sites. Even the most perfect, optimised schedule is worthless unless agents actually adhere to it. injixo WFM continuously compares current status with schedule for each agent, highlighting those agents who are out of adherence using colour codes defined by the user. You can view just those agents who are out of adherence. You can put individual agents in the spotlight. And you can view reports on historic adherence - perfect for appraisals.